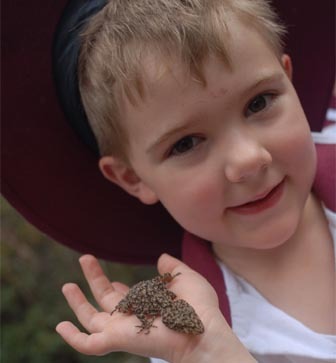 This excursion is focused around two animal catches; one in the bushland and one on the rock platform. This allows students to consider the variations in the two environments and why the animals live where they do. The excursion also includes an exciting investigation by torch light of the tunnels in the historical battery built by convicts in the 19th century. Rockplatforms are the perfect place to look at an amazing divesity of plants and animals in a variety of niches. We also examine the physical attributes of these organisms and how these help them to survive. A simple classification system is used to identify some of the organisms present. Between a creek based larval animal catch and a bushland bug catch, we are able to see the full life cycle of an insect at our bushland site. We are also able to see how the insect survives at these various stages of life in the different environments. Through close observation we record various physical attributes of the animals found which help us to classify the animal. Our wetland site allows us to see three different environments in close proximity; the sand dunes, mangroves and seagrass. Each environment presents very different physical conditions for the organisms to survive in, as can be seen by the range of mini beasts we regularly catch including octopus, crabs, and stick insects! In the bushland ecosystem students are able to investigate their surrounds considering landforms, directions and human and natural places. An emphasis is placed on differentiating between land and water and the animals that live there. This is investigated by undertaking an animal catch in both environments. We also investigate how people interact with and impact on the environment in the local area.